If you’re considering buying a new greenhouse the following resources might be useful before making the final plunge. Perhaps the first thing to do is to work out how much space you have available in your garden. 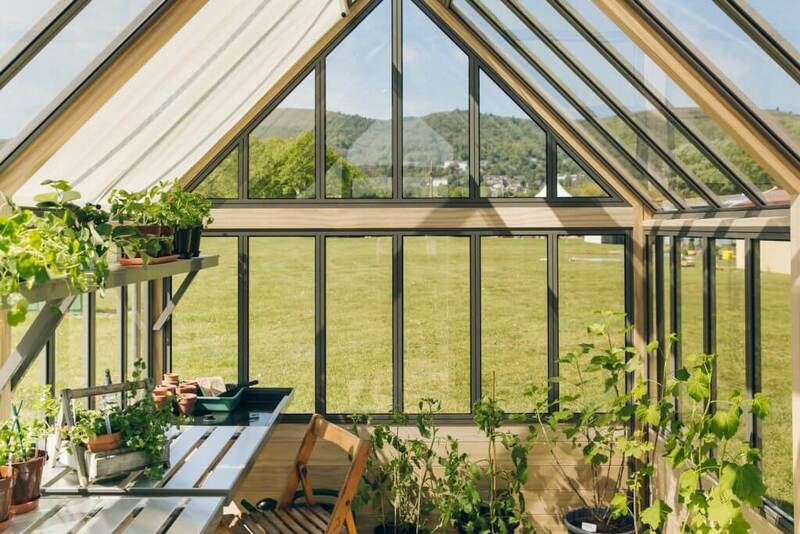 In an ideal world your greenhouse ridge should run East to West, this will ensure you maximise on the amount of sunlight captured coming from the South. Whilst finding the perfect spot for your greenhouse might be preferential it not always achievable. Trees, hedges, fences and funny shaped gardens often upset the best laid plans. Whether you have the perfect position for a greenhouse or not it is said that you should always go for as large a greenhouse as your can comfortably accommodate, plants grow and soon fill a space. And with all the prospects that a greenhouse opens up there’s little doubt that the space in the greenhouse will be used. The following page talks a little more about positioning your greenhouse and what to look out for : greenhouse orientation. The length is modular in approximately 750mm panels so this can be anything from 5’4 to 100 feet long. The most popular size greenhouse is 2438 x 3218 (8 foot wide by 10 foot 5 long). People tend to forget about height but it’s an important consideration not just for ensuring a comfortable space to stand but also for capturing light. The forty five degree roof pitch on Victorian greenhouses is not just for Aesthetics, these Victorians knew a bit or two about growing. For this reason all our greenhouses have a 45 degree roof pitch on both the modern and Victorian range. What else to consider ? There’s some merit in locating your new greenhouse near to the house as this will be much more convenient for usage. If, for example, you had a kitchen garden you could have fresh tomatoes and salads from the greenhouse to plate in a matter of minutes. Besides, a Cultivar Greenhouse should have pride of place in your garden. Long gone are the days where you’d hide it at the bottom of the garden in a corner. Many greenhouses come with sliding doors which are cheap to make but far from ideal when it comes to sliding properly and letting in draughts. For this reason all our greenhouses are made with proper hinged doors. Strong, wide and tall and made from sturdy aluminium A cultivar Greenhouse door is without a shadow of doubt the best greenhouse door you will ever open. How would you like your door handed ? It’s just a detail but it’s important to think about which way your door opens. Our wooden range of greenhouses are available with open out or open in doors which can be hinged on the left or right hand side. 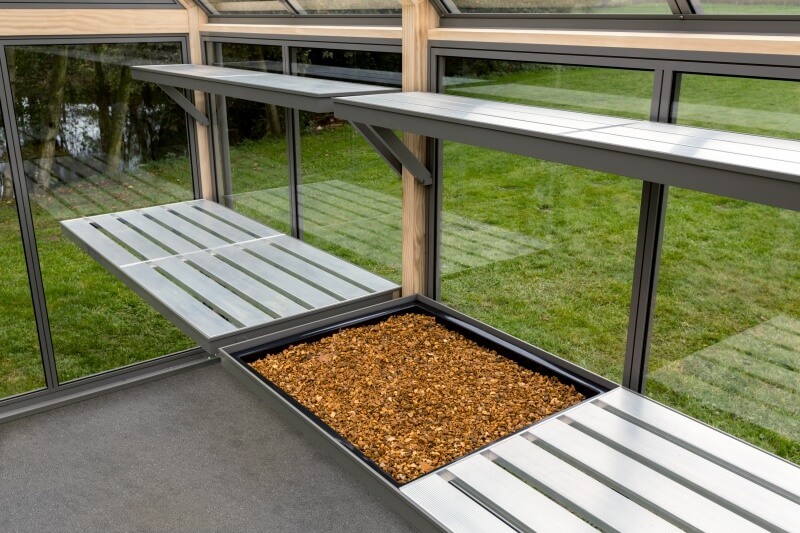 This offers you the ultimate flexibility when it comes to organising the space in and around your greenhouse. To ensure a long lasting and successful growing environment it is sensible to prepare a solid, firm and level foundation for your new greenhouse. 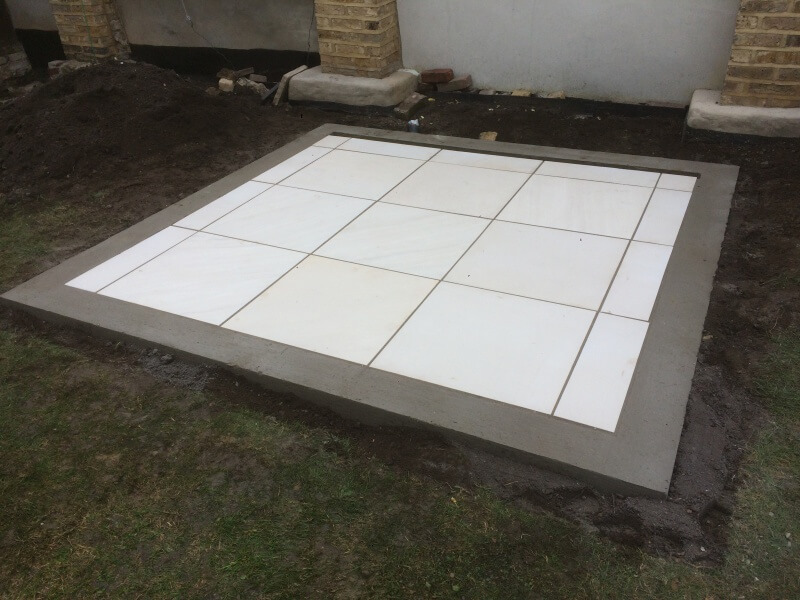 A level concrete footing or pad should be prepared in advance of the greenhouse arrival. Most greenhouse companies ask that you prepare the base and will provide a plan so you have the appropriate dimensions to work to. This greenhouse base preparation guide talks you through the different types of bases. The two most popular materials for greenhouse framework are aluminium or wood, or a combination of the two. Both have their merits and impact hugely on the look of the structure. These days most quality aluminium greenhouses are powder coated. Unless really cheap most wooden greenhouses are made from cedar which if treated can last decades. 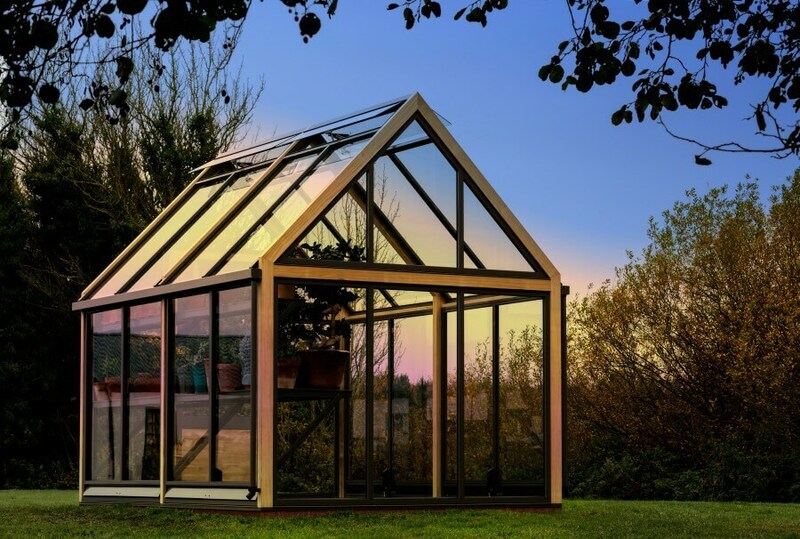 The wood used on a Cultivar greenhouse is Accoya, chosen for it’s dimensional stability and the fact that it has a Class Durability of 1, placing it at the top of the table alongside Teak and well above the likes of oak and cedar. We go into Accoya in more detail here. When is the best time to be buying a Greenhouse ? Basically the two best times for buying a greenhouse are early in the year before Spring sets in or late summer before Autumn. This guide to the best time to buy a greenhouse will give you a little more information. The most useful greenhouse accessory is staging which is the waist height benching where you will do most of your potting up. Like every kitchen should have a counter every greenhouse should have staging. Higher up, closer to the eaves, shelving is useful. This space is warm and ideal for germinating seeds in trays or pots. Perhaps the most convenient way to shade a greenhouse is with internal blinds or shades. At Cultivar we moved away from blinds some years ago, they have too many moving parts which over time tend to play up. A shade put up in May and taken it down in September is a simple solution that has the desired effect of shading your plants. You still see the odd greenhouse where the owners choose to paint the glass in summer with ‘cool glass’ which although cheap is quite effective. There’s several heaters on the market ranging from thermostatically controlled electric models to old school paraffin. The type of heater you choose will likely depend on the facilities you have in the greenhouse. If you’re not planning on getting power to the greenhouse then gas or paraffin heaters work just as well. Besides not everyone chooses to heat their greenhouse. The aluminium downpipes on a Cultivar greenhouse have an external diameter of 40mm which is likely the same size as the pipe under your sink in the kitchen. It’s a standard size which makes the job of finding compatible components easy. Both Marley and Polypipe provide a range of elbows and connectors. If installing a waterbutt simply cut the downpipe with a hacksaw to the appropriate height and together with a connector direct the water into your waterbutt. You can never have too much ventilation on a greenhouse. All our greenhouses come with full length ridge ventilation which are opreated on automatic openers. These are wax filled cylinders that respond to the temperature to open the vents. This page talks about the different greenhouse ventilation options. So there’s plenty to think about when you are buying a new greenhouse. At Cultivar we’re happy to talk you through the greenhouse buying process, answering any questions along the way. We’ve been involved in the greenhouse industry for decades so are well prepared to answer any questions not covered here, just give us a call.